We know Elsa would tell us to "let it go," but we can't get over our excitement. Disney dropped the first teaser trailer for Frozen 2, the hotly (or should we say coldly?) awaited and long-gestating sequel to its 2013 animated-feature-turned-inescapable-global-phenomenon, on Wednesday. And there's no two ways about it: the footage has us giddier than a schoolgirl who just received a life-size cardboard cutout of Elsa, or Olaf when he thinks about all the wonderful things he can do in the summertime, or an exhausted parent when they realize that, after their children have finally dozed off, they don't have to listen to the Frozen soundtrack on repeat. Unveiled on Wednesday morning as a little pre-Valentine's Day gift to the masses, the Frozen 2 teaser trailer opens an older Queen Elsa (Idina Menzel) bounding toward the ocean and blasting her ice powers at oncoming waves. She flashes frost here, glides down ice there, but is ultimately unable to conquer the sea. Why she was out on open water in the first place — and what danger she potentially was running from or safety she was trying to make her way to — is unclear. Still, it's evident that Elsa's abilities have grown, and herself more comfortable with them, in the time since we last saw her on the silver screen. The footage then brings into the fold Princess Anna (Kristen Bell), Elsa's scrappy little sister with auburn locks and an unshakeable spirit; Olaf (Josh Gad), the adorable anthropomorphic snowman Elsa and Anna created when they were young and who came back to life when Elsa sparked a perpetual winter after her coronation at the start of the first film; and Kristoff (Jonathan Groff), the boy-next-door ice salesman who teamed with Anna to track down Elsa and bring her back home. We can't forget the "funny-looking donkey" Sven, Kristoff's trusted reindeer, who joins the crew as well. While Elsa tries and fails to sprint across the sea by freezing sections of it, Anna looks out of the Arendelle castle and sees mysterious blue and purple diamond-shaped ice crystals floating through the air. With a pack of reindeer at his side, Kristoff rides through the forest — now thick with red, orange, and yellow leaves, the sign that autumn is waning and winter is nearly here. Anna, seemingly all alone and wearing a forlorn look on her face, leaps across rocks and scales a mountain, while Elsa and Olaf stand inside a ring of pink fire. One of the most interesting parts of the Frozen 2 teaser trailer is what happens around the minute and 23 second mark: We see an unfamiliar face, an unidentified girl, standing in a forest near a pile of leaves. Suddenly, some strange force pulls a man out of the leaves and sends him tumbling upward. He looks like Kristoff, based on the blonde hair, but something tells us it isn't Anna's beloved but a brand-new character. Could these two unknowns be Evan Rachel Wood and Sterling K. Brown's characters? The Westworld actress and This Is Us star are set to voice two fresh additions to the Frozen franchise, though no details have been given at this time. We feel confident putting money on the chance that the guy and gal in the woods in the Frozen 2 teaser are indeed the characters Wood and Brown voice in the forthcoming sequel. And if they aren't, we'll eat our (metaphorical) hat. That said, missing from the Frozen 2 teaser trailer are any villains. Wood and Brown could possibly be the duo behind the dastardly adversaries potentially posing a threat to Elsa and co., though that idea would yet again be just another speck of speculation. 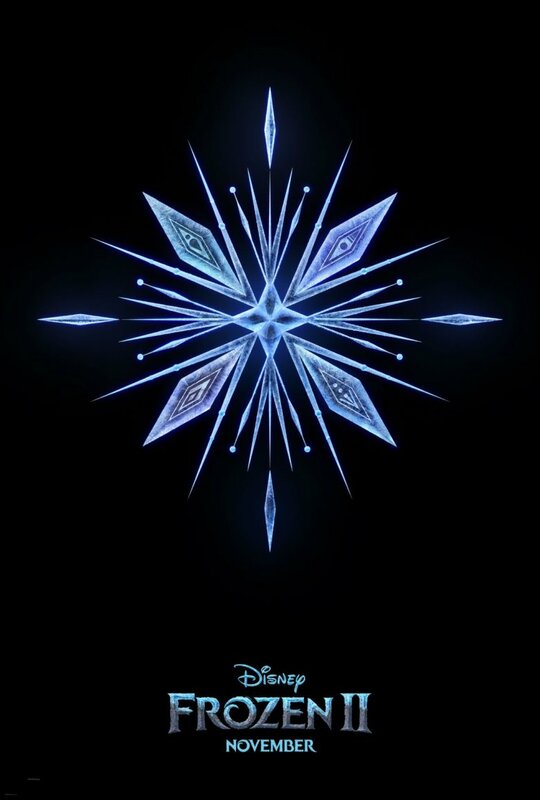 Where the original Frozen told the tale of two sisters who had grown apart in their youth finally coming together in young adulthood and focused on themes of acceptance, individuality, and the many definitions of love, it looks like Frozen 2 will explore elements of power versus responsibility, truth, justice, and what it means to serve the greater good. Disney hasn't released an official synopsis for the Frozen sequel (the studio is likely holding off until it debuts the full-length trailer later this year), but IMDb notes that the film takes Elsa, Anna, Olaf, Kristoff, and Sven deep into the forest on a quest to discover "the truth about an ancient mystery of their kingdom." This new clip makes it pretty clear that Elsa is no longer afraid of her own strength or ashamed of her powers, and even suggests that she's become some kind of superhero, a protector of Arendelle. Perhaps Elsa is called to carry out a mission that will make or break her kingdom? It's possible — but whatever draws the gang into the forest and beyond the walls of Arendelle's castle, the fact that Frozen 2 takes place in the fall hints that the fast-approaching winter will probably play a pivotal part in driving the plot and creating a sense of urgency. Since we don't know much about Frozen 2 and this new footage doesn't totally satisfy our curiosity about the film, theorizing is basically all we can do at this point. Recalling tidbits of information that the film's creative team have offered is another thing that might help fill in the info gaps. Back in November of 2018, director Jennifer Lee told Variety that Frozen 2 will be "bigger" and "more epic" than its predecessor. "They're going to go far out of Arendelle," she shared. Like any baddies, also left out of the footage is a possible love interest for Elsa. Fans have been campaigning for Disney to "give Elsa a girlfriend" in Frozen 2, believing the reserved nature she exhibited in the first film to be representative of the struggles LGBTQ+ individuals have when coming to terms with their sexualities and being comfortable enough to show their true selves to the world. Lee previously told The Huffington Post in February 2018 that the Frozen 2 team has engaged in "tons of conversations about it," and that they were still deciding whether Elsa would have a female love interest in the sequel. "I love everything people are saying [and] people are thinking about with our film―that it's creating dialogue, that Elsa is this wonderful character that speaks to so many people. It means the world to us that we're part of these conversations," said Lee. "Where we're going with it … we're really conscientious about these things. For me… Elsa's every day telling me where she needs to go, and she'll continue to tell us. I always write from character-out, and where Elsa is and what Elsa's doing in her life, she's telling me every day. We'll see where we go." For what it's worth, Menzel, the actress who voices Elsa, is "all for it." She told Ellen DeGeneres during a September 2016 appearance on DeGeneres' talk show, "I think it's a wonderful idea. It's a wonderful conversation that we should all have about whether a Disney princess or queen could be gay." We'll simply have to wait and see what Cupid has in store for Elsa in Frozen 2. Chris Buck, who co-directed the original Frozen with Lee, returned to helm the sequel — and songwriters Kristen Anderson-Lopez and Robert Lopez also boarded to pen a cool seven new tunes that will undoubtedly get stuck in our heads and stay there for years after Frozen 2 launches on November 22.